The deficiencies of perimeter-based security strategies are obvious and growing. Our infrastructures are moving off-premise, our partners are increasingly offering their applications as a cloud service, and our enterprise machines are progressively not under direct control. Identity Defined Security™ (IDS) is a concept that attempts to provide a superior approach to perimeter-based security. 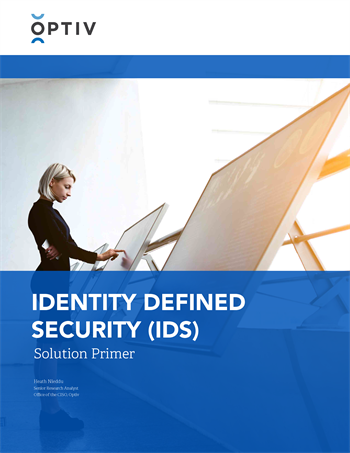 Instead of simply bemoaning the strain, IDS empowers next-generation identity and access management (IAM) practices to adapt and overcome current challenges.